Inquiries regarding this litter welcome. Greetings from the heart of the Midwest! We are Robert and Victoria Ruggles. Bob and I are glad to have you visit our website and hope you enjoy your time here. We'd like to have you learn a bit about us. We hope you'll be impressed with our dogs and our desire to improve the breed with future litters. 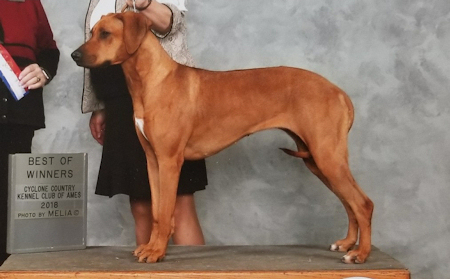 As members of the Rhodesian Ridgeback Club of the U.S. (RRCUS), Bob and I conform to the Code of Ethics. 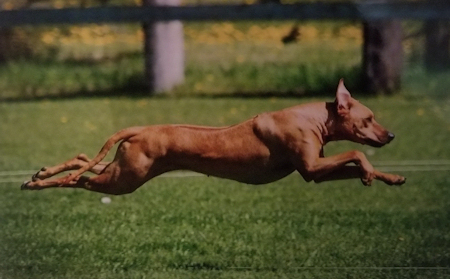 All our breeding dogs have undergone, and passed, testing from the Orthopedic Foundation for Animals (OFA) certifying their hips and elbows. Additional tests are done as needed. Although these tests are important, we feel breeding for temperament is just as important. 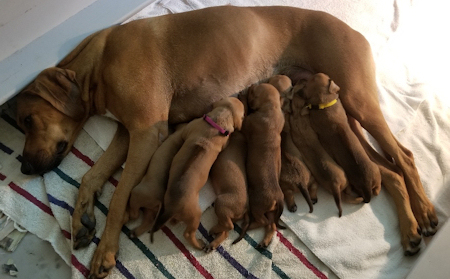 In addition, although not all our pups are placed in show homes, it's our intention to produce healthy, beautiful, sound dogs that conform to the breed standard. 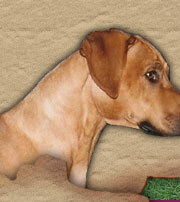 We invite you to check out our dogs and the puppies we have available on occasion. 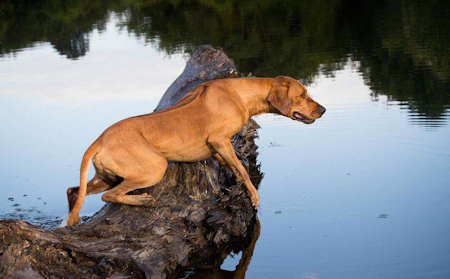 Lion Hunting Lessons...The Rhodesian Ridgeback breed originated in South Africa as a hunting dog - Click here to join Belle & Odin as they hunt big game. 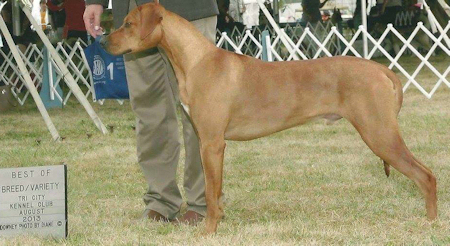 Copyright 2006-18 R Star Rhodesian Ridgebacks. All rights reserved.